North Carolina is undergoing some changes in the way we tax ourselves. For more than 100 years the state has been dominated by democrats in the senate, house and governor’s mansion. That changed in 2010 when both the house and senate flipped red but a democrat, Bev Purdue, was still the governor. In 2012 Pat McCrory won the governor race and the trifecta is complete; republicans control all three major law making bodies. Republicans insist the new tax law will help the state to attract new businesses and create jobs by lowering income tax rates that have been the highest among Southeastern states. They’ve emphasized the new lower flat rate of 5.8 percent for personal income tax — compared to the outgoing three-tiered system of 6, 7 and almost 7.8 percent — and noted more than 40 credits, exemptions and deductions ultimately will expire or be repealed. The income tax has been reduced; we’ve been one of the highest taxed states in the south for years. There is some who argue that jobs aren’t impacted by higher or lower income taxes – people go where the work is. However, there is some calculus for people who are able to control where they live. Owners of many types of businesses lose a deduction on their first $50,000 of income, while home-related deductions on mortgage interest and property taxes are capped at $20,000 combined. A credit for child care expenses and deductions on certain kinds of pension income are gone. Also set to expire on Jan. 1 is the earned-income tax credit, which gives payments to some of the working poor even if they owe no taxes. The credit’s elimination means some low-income families might have to pay a small tax bill again. 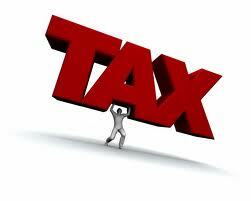 The corporate tax rate, meanwhile, will decline from 6.9 percent to 6 percent in 2014. Both personal and corporate income tax rates fall further in 2015. Unlike the income tax, the corporate rate does influence the decisions of businesses to move to North Carolina. And, for those that are already here, it frees that money for growth and investment. Generally, an easier and cleaner tax code is better. Lower taxes, not higher, are better for growth and prosperity. In general, I like the changes. And yes, I know that some folks, likely those of lower incomes, are going to pay more than they previously did, however, I think it’s important that we don’t use the tax system as a redistribution machine – I don’t like negative tax rates. This entry was posted in Politics: North Carolina, Taxes and tagged Pat McCrory, Republican, Tax Code. Bookmark the permalink.